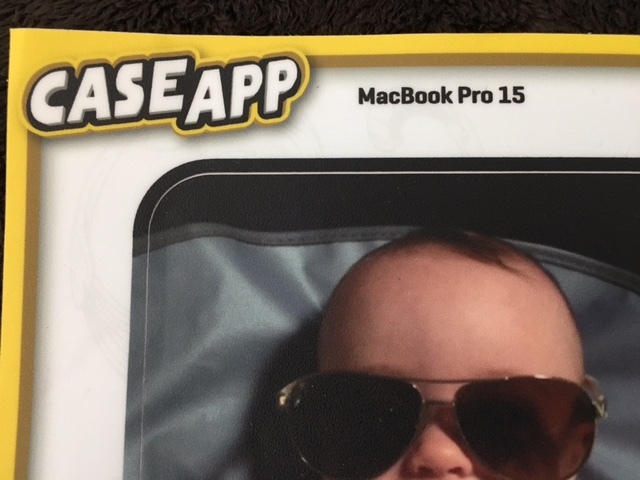 I was contacted by CaseApp recently for a collaboration. When I saw they wanted to work together, I jumped at it because I had heard of CaseApp before. 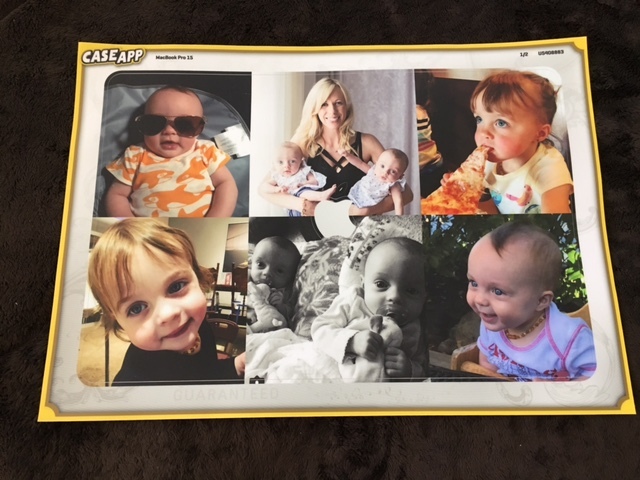 About a year ago, my sweet blogger friend (she no longer blogs) hosted a giveaway for a CaseApp design and I had won. I made an iPhone case with pictures of my girls when they were newborns, when they were about 10 months old and a photo of Rory and I at my dear friend, Nathalie's wedding. I love this case and get compliments on it all the time. So as you can see, I wanted to make a new case and jumped at the opportunity. This time though, I was able to make a custom Macbook skin and another iPhone case. Since I had my one from before, I decided to pick one of their designs which stood out to me immediately. It was the pink and gold case. It is so pretty and I am excited to change up my cases more often. I love the shape of this case. It allows me to hear from the bottom of my phone, plug in my headphone easily and gives ample room for the button on the side. Plus it protects my phone. Believe me, I know. My girls and I have dropped my phone many times. Next up, I created a skin for my Macbook Pro. I picked my screen size, the collage layout and started uploading photos. It was easy and I had so much fun going through old photos. I chose a mixture of new and old photos. I love the way it came out. Such amazing quality. Top Left: Sutton in one of my favorite onesies and my sunnies. Top Middle: The girls and I at their 5 month photo shoot. Top Right: Sutton eating pizza. Bottom Left: Avery cheesing it up when her dad was on a work trip. Bottom Middle: My tiny girls. Bottom Right: Avery eating at one of our favorite brunch places. A close up of the peel area. It was so easy to put on the laptop. I even had to take it off to get it on just right and it has amazing stick power. 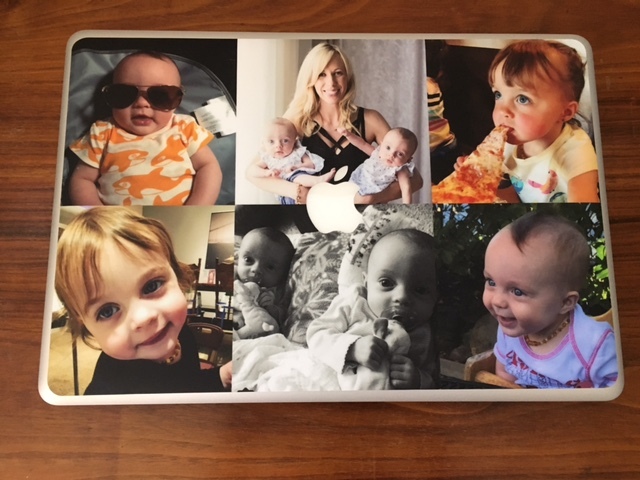 As you can see, I had so much fun designing the custom laptop skin and picking out a new custom iPhone case. CaseApp has graciously given me the opportunity to giveaway a custom case/skin to one of my readers. To enter, please fill out the entry form below. I will pick a winner Monday June 19th. And if you don't win, don't worry. You can still design your own cover/skin and get 20% off using the code: SPARKLESNLATTES20. Good luck! how fun are these! I love getting a new phone case and that computer skin is awesome. Love all of those photos! What a fun giveaway! What a pretty phone case! A laptop skin would be fun, too! So pretty, I love the marble look. And your photos on the mac are too cute. I would make an iphone case. I cannot believe I was not following you on Pinterest! That case is so pretty! I haven't checked them out before, so I will need to do that. This one is really pretty! And I love your skin for your Mac! I love love that iPhone case, and the skin for your laptop is perfect and I bet it makes you smile every time you open it! Oh, how fun. I've never seen these before. Thanks for sharing. I absolutely love my CaseApp phone cases!! I even had my phone fall off my car (while driving, eek!) with their case on, and it didn't break at all!! I would design an amazing case! I would get one of those iPhone cases!